In this paper, effects of ordered structure on non-isothermal crystallization kinetics and subsequent melting behavior of β-nucleated isotactic polypropylene/graphene oxide composites were investigated. Under all cooling rates, as fusion temperature Tf stepped into the range of 168–178 °C, the ordered structure survived in the melt, resulting in the increase in crystallization peak temperature Tp, the decrease in crystallization activation energy ΔE and the decrease in the half crystallization time t1/2. When endset temperature of cooling Tend = 50 °C, lower cooling rate encouraged the formation of more β-phase. Moreover, the influence of ordered structure on β-α recrystallization was studied by adjusting the Tend. When Tend = 105 °C, higher cooling rate encouraged the formation of more β-phase. 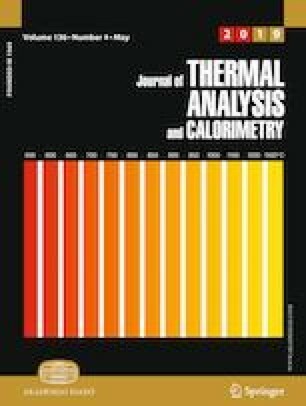 The ordered structure was favorable for the improvement of the thermal stability of the β-phase during β-α recrystallization. We gratefully acknowledge the National Natural Science Foundation of China (NSFC 51503134, 51421061, 51721091) and the State Key Laboratory of Polymer Materials Engineering (Grant No. SKLPME 2017-3-02) for the financial support. Zhang Q, Chen Z, Wang B, Chen J, Yang F, Kang J, Cao Y, Xiang M, Li H. Effects of melt structure on crystallization behavior of isotactic polypropylene nucleated with α/β compounded nucleating agents. J Appl Polym Sci. 2015. https://doi.org/10.1002/app.41355.